Yet another supercar has joined the LEGO car. That’s Ariel Atom V8. I have no idea whether or not the LEGO Ariel Atom has 500 horsepower, but it’s definitely cool enough.This only one LEGO Ariel Atom is created by Tyler Reid. 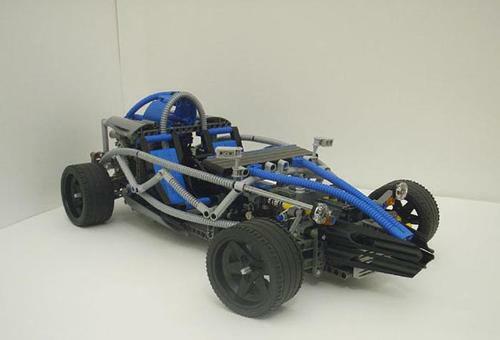 It’s a highly detailed LEGO supercar, and comes with a 5+R trans axle shifted by push rods and push rod front suspension. It’s a little pity that the engine cover had to be removed in order to keep the drive train in the right place. Well, anway, Tyler gave us a perfect LEGO Ariel Atom through his professional LEGO skill.